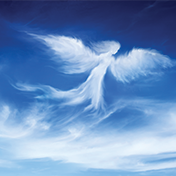 During this powerful hour you will discover how the Archangels can help you…. Open your channel to enhance your creativity and receive new ideas and inspirations. Increase your income to create financial secuity and freedom. During this teleseminar you will receive the prayers you need and experience a powerful meditation to enhance your career and create the prosperity you so deserve. Thank you for an amazing reading today, and all your support, love and guidance. You have an amazing, holy and spiritual gift of connecting with my angels and guides and I am forever grateful. I really appreciate your bringing me the messages of abundance, self-worth, patience, and nurturing the seeds planted this fall, with the 40-day journey. I am so, so grateful to you and the angels. When I read the book What Would Love Do? I realized fear did, indeed, take over my life, but not the way I would be able to recognize it. It was subtle, and I forgot about self-love. If I had not been sent your contact, I would not have awakened to the levels under which I’ve buried my self-love and all that goes with it. WOW! This has been truly an amazing journey…I feel so full. Full of love of self, Full of love for others but mostly full of gratitude for you, I now feel worthy of greatness thanks to this “40 Day Affair with ME”. I have been struggling with weight issues my whole life. I have been up and down, I have tried every diet known to man from Nutri-System to the hot dog and banana diet. Nothing has worked successfully and any achievement I made was a struggle!! 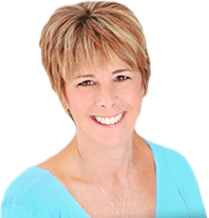 I came to Karen figuring I would give hypnosis a try – what did I have to lose?? I can’t believe what has happened to me! I have lost 20 lbs so far and my eating habits have improved drastically. I do not feel deprived or as though I am on a starvation diet. I actually crave healthy foods and when I look at junk food, I truly do not want it!!! Through hypnosis I have been able to achieve a healthy life style that truly is effortless. I do not spend any time thinking about “my next reward meal” – I actually just eat healthy. I am not even experiencing any temptations or cravings. I am now living my life in a healthy and fun way, nothing I do is controlled by food!! I would sincerely recommend giving hypnosis a try. You will be surprised and amazed and what you can truly achieve. Karen is one of the most sincere and honest people I have had the pleasure of working with in my life and she genuinely is invested in helping you change your life for the better. Karen’s retreats are very powerful and magic happens. Her teaching style is simple with strong loving messages. Sharing her experiences helps all of us to believe. I know feel I can conquer the world and allow all my dreams to come true. I had the best experience this weekend! It was more than I imagined it could be. I am leaving feeling enlightenment, hopeful and an intense feeling of new beginnings. So thank you so much for your help! Your gifts are truly a blessing. Thank you for sharing them. ABSOLUTELY GREAT ALL-AROUND BOOK ON ANGELS! I’ve read a lot of books on the subject of Angels, but this is by far the best for simplicity. It’s well organized, covers almost every basic angelic subject, is easy to understand, and is absolutely wonderful for people just beginning to learn, as well as those of us who are very well read on the subject. I was very, very impressed with the content of this book and how it flowed so smoothly from one subject to another. Wow! I just have to give this book five stars all the way around! Excellent book!